Today I am celebrating the life of Ida Pfieffer who died on this day in 1858. She had a fairly unassuming but difficult life until she was forty-five. Then she became an explorer, she journeyed alone and went around the world, not once, but twice. She travelled a total of 150,000 miles over sea and 20,000 miles over land. Ida was born in Vienna in 1797 and grew up with five brothers. She enjoyed all sorts of sports and outdoor games and was allowed to dress in boy’s clothes and she dreamed of a life of adventure. When she was nine, her father died and her mother tried to make her wear dresses instead. She was so upset by the idea that she made herself ill. Her boys clothes were returned to her on the advice of her doctor. She didn’t really take to female attire until she was thirteen. Around that time her mother employed a tutor for her. As they later fell in love, these two events are probably not unconnected. Unfortunately, they were forbidden to marry and she eventually married a lawyer called Mark Pfeiffer when she was twenty-two. He was twenty-four years older than her and had a grown up son. Pfeiffer lost his job after exposing corruption amongst government officials. Then he managed to lose the money she had inherited from her father by lending it to someone who didn’t pay it back. She struggled to support herself, her two sons and sometimes her husband by teaching drawing and music. When her mother died in 1831, she inherited enough to give her sons a good education and have a little left over. Her husband died in 1838 and once her sons had grown up and left home, she started to make travel plans. When she told everyone of her plans to visit the Holy Land, they thought she was mad. So, in 1842 she told them she was off to visit a friend in Constantinople. She set off there by way of the Danube and the Black Sea. But then she went on to Syria and Palestine, then back via Egypt, Sicily and Italy. She was gone for nine months. The book she published of her travels funded her next journey. Her style of writing is pretty straightforward and matter-of-fact. She can be a little judgemental sometimes but often she is surprisingly open-minded, considering the time she was writing. In Constantinople, she found the Turkish people more honest than the Europeans she met, which was not a commonly held opinion. In 1845 she travelled through Iceland and Scandinavia. This time, as well as publishing her journals she also sold geological and botanical specimens that she had collected along the way. She seems to have found the people she met kind and helpful for the most part. Though in Iceland, she found the diet rather dull and admitted that it was her ‘misfortune not to be fond of fish’. The proceeds from that expedition funded a much grander plan. 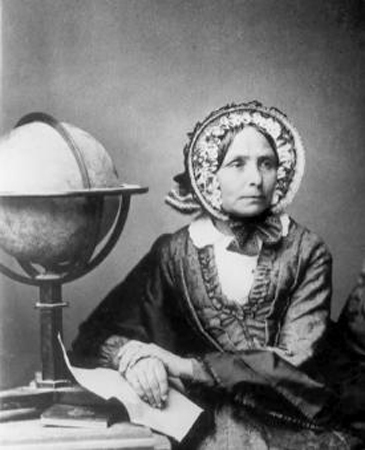 In May 1846, she set off around the world. She told her family that she was only going to Brazil. She did go to Brazil, but from there she went round Cape Horn, across the Pacific to Tahiti, then on to China, across India, Persia and Asia Minor, back to Constantinople and down to Greece, before returning to Vienna in November 1848. 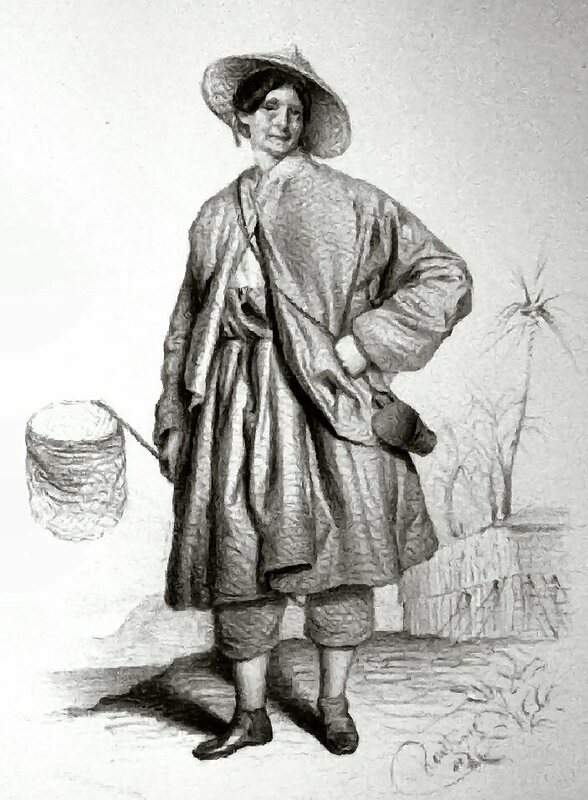 Her account of this journey was published as ‘A Lady’s Voyage Round the World.’ It was extremely successful and was translated into both English and French. Her journals are packed with details about her journey. We learn that monkey is much nicer to eat than parrot. At Cape Horn, when the captain told her that on one journey, the current was so strong that his ship: “danced, turning round in the passage at least a thousand times.” Far from being afraid, she was disappointed that the ship didn’t turn even once. In Sumatra, again against the wishes of her advisers, she met with the Batak. They were known cannibals who had never let any Europeans into their territory. They treated her as an object of curiosity and passed her from tribe to tribe. She was uncomfortable, as they made it clear they might eat her. But she managed to persuade them that she was far too old and tough to make a good meal. From Indonesia, she recrossed the Pacific to California, travelled down to South America, then up to New Orleans, onward to the Great Lakes and Niagara, over to New York and back across the Atlantic, arriving in Liverpool in 1854. She travelled home via the Azores, where she visited her son. Her last trip was to Madagascar in 1857. She accidentally became involved in a coup and was imprisoned for a time by Queen Ranavalona. On her journey home, she contracted malaria, from which she never recovered. She died in Vienna, a year later. Ida Pfeiffer had dreamed of adventures and travelling the world as a child. Although she had to let go of those dreams for a long time, the financial hardships she endured during her marriage coupled with her boisterous upbringing gave her the confidence to face the many challenges she encountered. I love it when I come across a woman who, freed from the shackles of domestic responsibility, manages to build a whole new life for herself. Ida is all the more remarkable for having done it all in the mid-nineteenth century.